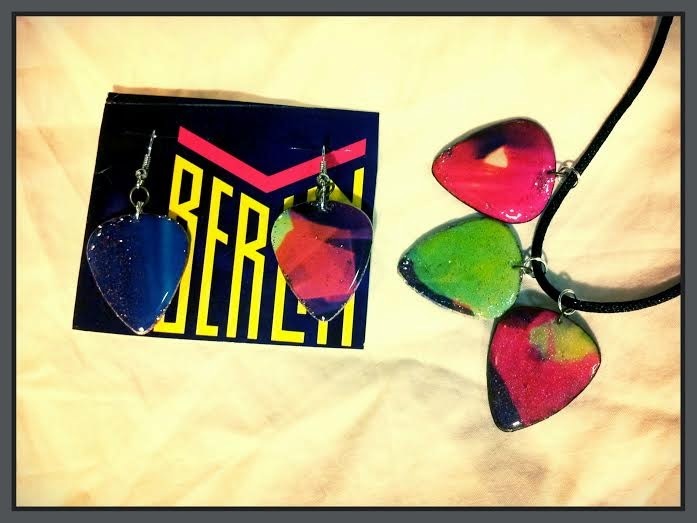 Hand made guitar pick earrings and necklace charms cut from Berlin's album sleeve for "Count Three & Pray" from 1986. Album art features a neon girl with a blue background. I found the sleeve all alone in a bin at Goodwill and loved the album art. 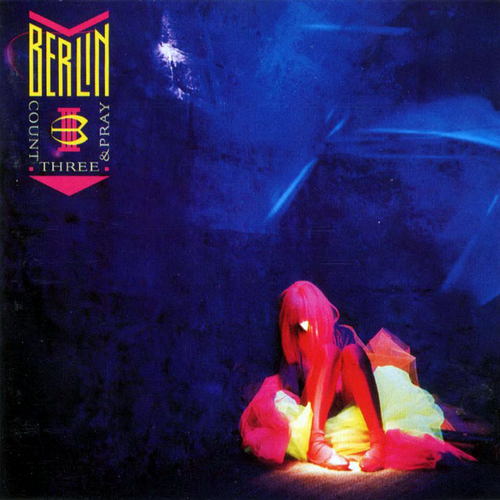 This Berlin album includes the song "Take my breath away." 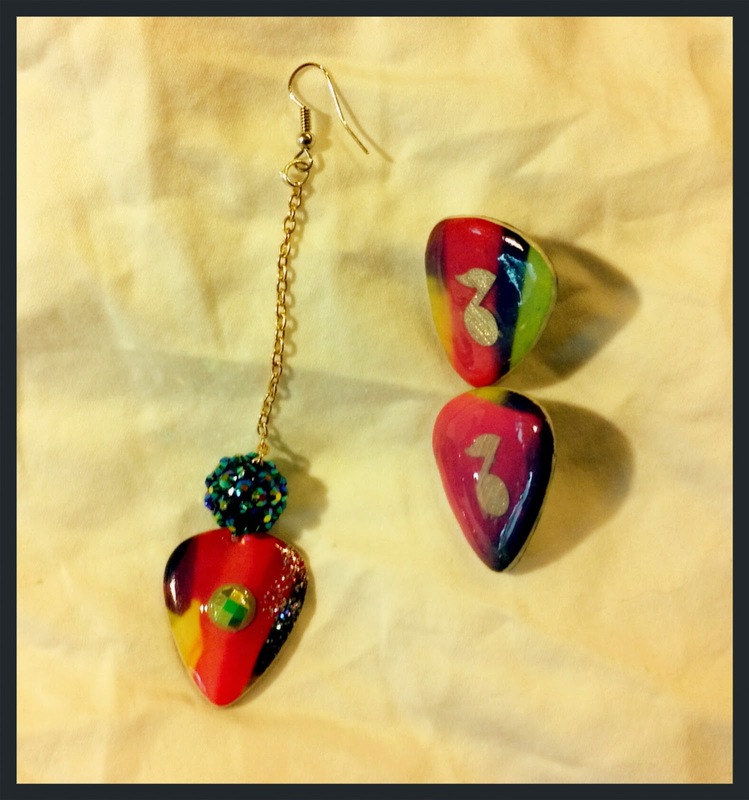 For these, I used the same process for my Queen guitar pick earrings. I cut up the album sleeve in sections and cut out the shapes with my Pick Punch. I wanted to capture parts of the glowing girl and the dark blue background. Once I processed the picks in epoxy resin and Mod Podge, I accented them with hot pink glitter and Indie Polish's Holographic top coat. 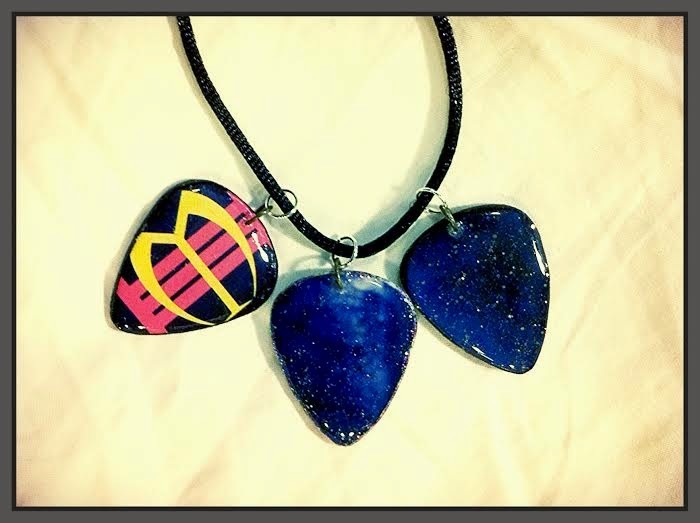 These pendants are sturdy but light, in vibrant colors from the album cover. Necklace has glowing girl's face, dress and the album logo.